I have always believed Life is simply a love story, it is through loving, caring and sharing we connect with the world. It gives life meaning, value amd richness. 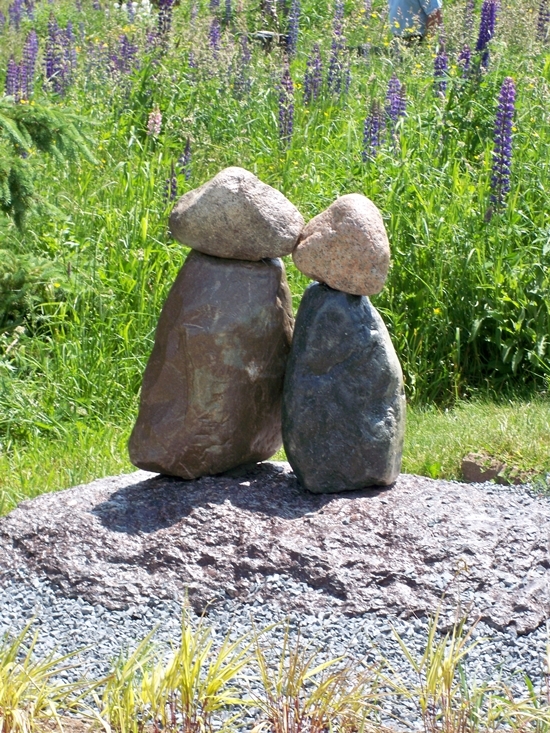 This photo from the Sculpture Garden at Kingsbrae Gardens in St. Andrews speaks of love so simple and yet so expressive. We just see love, feel it and know it captured by the shape and placement of four rocks. How wonderful is that! 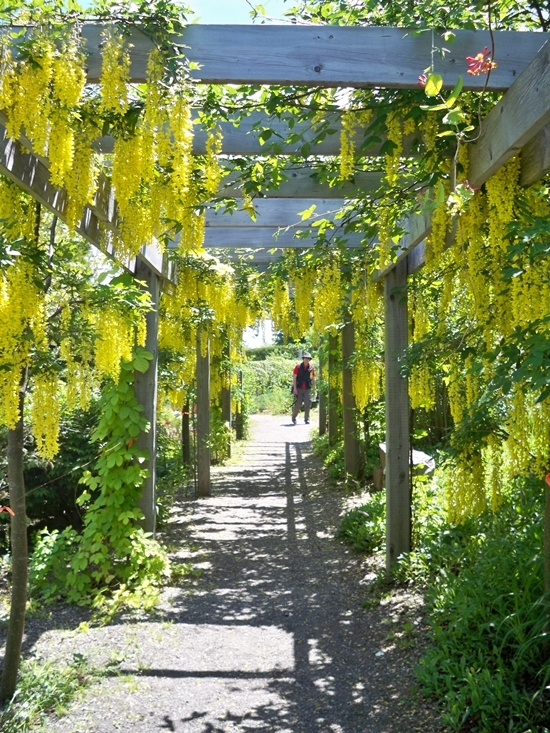 In visiitng the gardens over many summers from the beginning has been a true gift. The beautiful garden arbor was quite bare for the first few years but now is glorious! To wander through it was lovely this year. Kingsbrae Gardens has evolved, grown with the years and the seasons, creating a space with all of nature's bounty, with woodland trails, formal gardens, water features, children's fantasy hideaways, animals, whimsical and striking sculpture all set high on a hill with the ocean breeze constant in the air! A place filled with creative inspiration! A joy! Happy weekend everyone! This past weekend I visited one of my very favorite places Kingsbrae Gardens in picturesque St. Andrews by the Sea. When my mother was alive we summered each year there by the ocean and my daughters grew up loving the ocean as much as I do. My mother and father met at a dance here on August 5th, 1949 and my Dad proposed less than two weeks later. Theirs was truly a love story. It is here too where Irving Berlin, a poor composer at the time followed his love to where she summered as did many wealthy families in the sea air. He proposed in one of the gardens of a stately mansion and they were together over 60 years. Each year my daughter Kate and I would go to the gardens, seeing the gardens as they bloomed anew. My watching her grow too with each season as did the special tree in the Secret Garden. This is where my photo was taken in the Secret Garden, I have missed being there for a couple years but travelled there this year with someone very special. It was a perfect day, sunny and warm with a cool breeze from the ocean below. 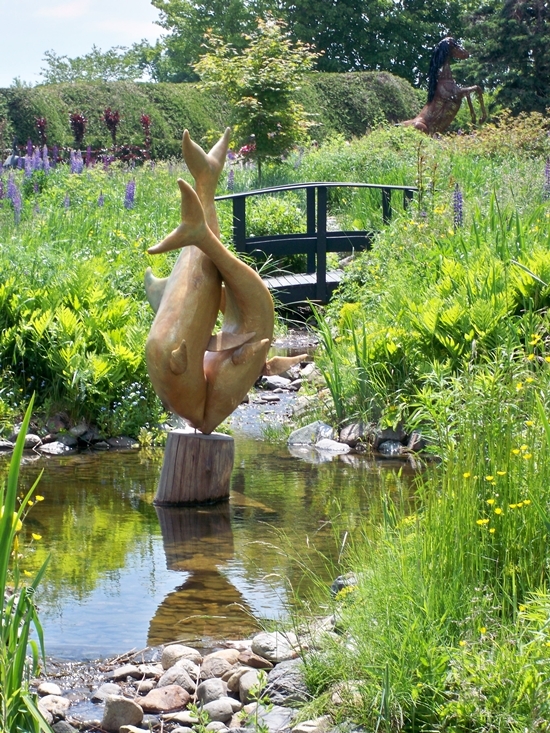 New sculptures have been added to the gardens, a new display titled "going with the wind" featured artists from across Canada. 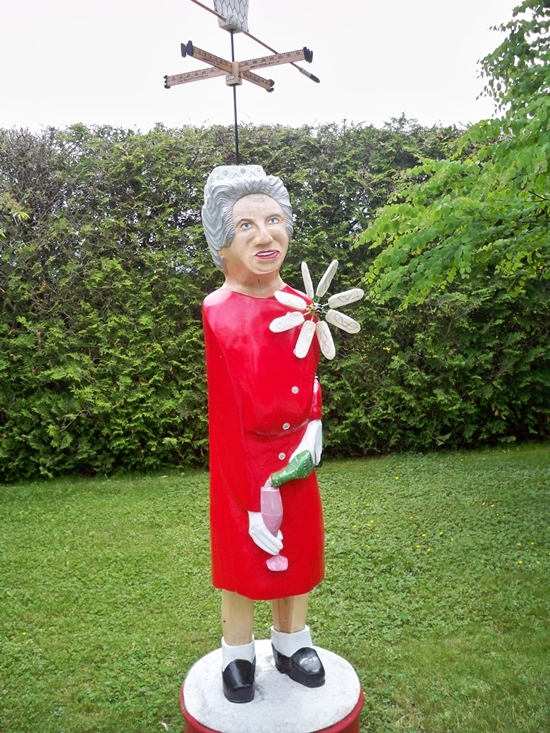 In homage to the Queen's Jubilee enjoy! 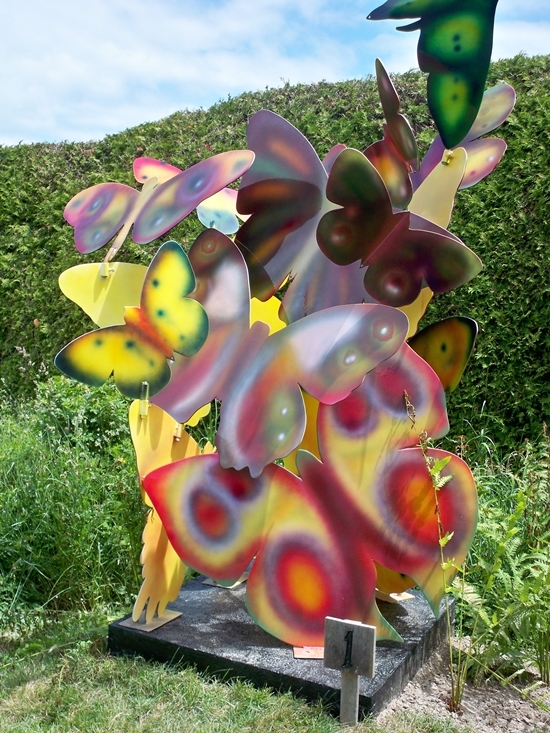 A variety of exquisite sculptures are set in the garden evocatively portrayed in the most perfect settings. It was truly a day I will never forget strolling through the gorgeous gardens, music coming from the hillside and hand in hand sharing a most glorious day! May you be inspired by the beautiful artistry! 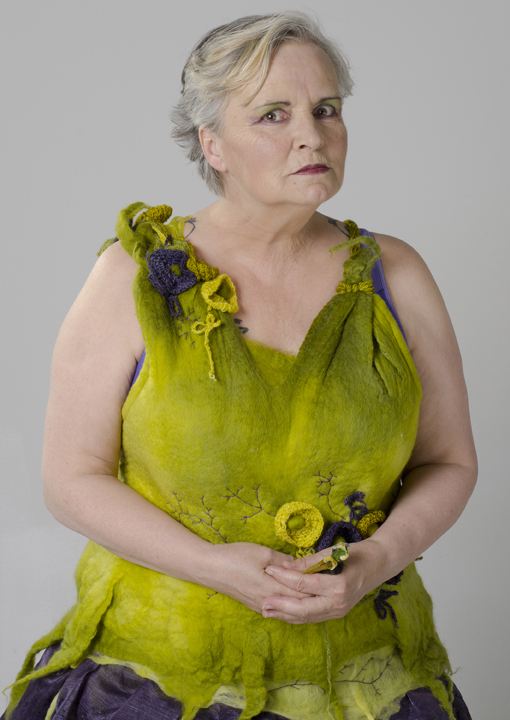 Glenda Bruce is one of the Graduates of the NB College of Craft and Design. I attended the opening of the Interdisciplinary Show by the Graduate Studies Class "Cross Processed" on the weekend. The pieces in the gallery were both stunning and evocative. This piece above is representative of the artistry showcase at the College. Glenda based this earlier gorgeous felted piece on the Slavic folklore character Baba Yaga. Baba Yaga has been portrayed as both a violent antagonist and a purveyor of wisdom. Another very young and talented fiber artist www.alexandrakeely.com created a wall of exquisite felted scarves, whimsical sea inspired lengths of luscious color and movement. Such artistic vision and technique! I was inspired! I hope this will begin your week with inspiration too! Follow the creative joy! 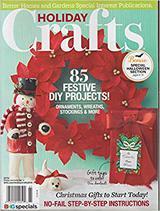 I have a love of the Victorian era and long ago most of my crafting was in that style. The steam punk trend which melds the style of the era both in the sentimental and mechanical is fascinating. This needle book I have designed is based on the popular vintage of a small book used to hold needles. In the beginning needles were very scarce, in fact even well off households had only one which was cared for, kept sharp and rust free using a pin cushion filled with emery dust. Poorer households often shared a needle between several families. Using Sizzix dies, wool felt from National Nonwovens which is ideal for holding needles and keeping them sharp plus the inspiration of a pin fabric I had in my stash my little book now graces my antique sewing basket. Create today as it is meant to be, hold a hand, hold a heart. Know from where you have been is where you shall start. Walk with love, stop and create a bouquet along the way! 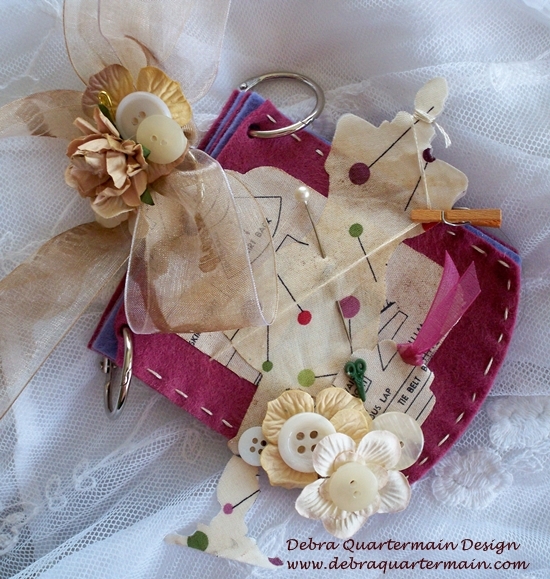 The birds are singing about a great giveaway for the DCC Designer's Blog Hop. Hop on over to Julie McGuffee's blog to get the details and have some fun! Happy Friday! Happy Spring! The birds do sing from the treetops with JOY! 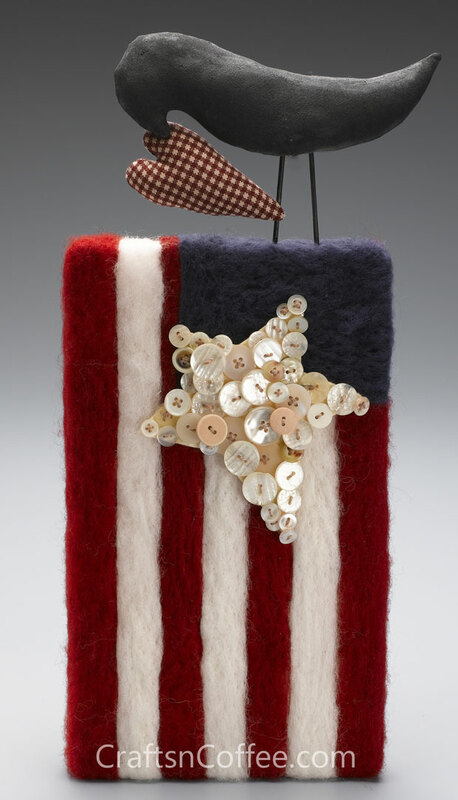 This one of my favorite pieces, the technique needle felting is fun, easy and relaxing. Delicious vibrant wools from National Nonwovens, pen needle tool from Clover, a sheet of STYROFOAM Brand foam, Wrights ricrac and buttons from Blumenthal Lansing. Creating with JOY, never forget to just create for the sheer pleasure, the relaxation of hand, heart and mind engaged in creating! Follow the JOY always! The DCC Designer Crafts Connection is hopping, the first Monday of every month. June's theme is Picnic ideas. I don't have a picnic basket but the take out containers I have gave me an idea to make a mini basket. I enjoy a picnic, sandwiches, salads, fresh fruit like watermelon, tasty fare but also a little messy so what about an apron for a picnic. A teatowel apron, one you can wipe your hands on and keep the picnic outfit clean and dry! This handy little apron rolls up and fits perfectly in the take out box. Makes a great hostess gift too! Check out the rest of the hop with the easy peasy button in the sidebar. Be inspired with some fresh ideas for this summer season by a group of talented professional designers! Enjoy! What do we believe in, it is a question we inherently know the answer to but sometimes we have not put it into the specific words or statement we are looking for. Lately I have been trying to find clarity on what my artistic vision is, what I truly do believe. 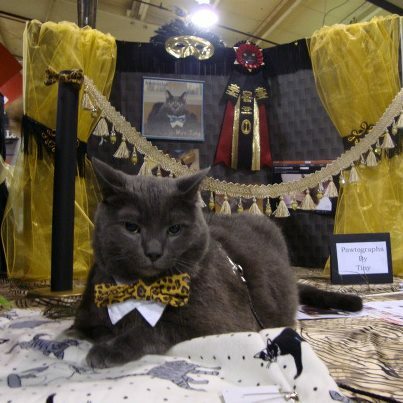 This weekend I did the decorating once again for the Chickadee Cat Club's ACFA Cat Show. I also was delighted to do the decorating for one of the SPCA's cats Tiny, you can follow his story on FB, Tiny's Weight Loss Challenge. The Theme of the show is "Cats, the Mewsical" so I decorated Tiny's cage to resemble a stage with the dapper Tiny as the star! Tiny was dropped off at the SPCA animal shelter in the middle of winter in a taped up wine box. He weighed 30 lbs, so overweight he could not move. He has been fostered by the sweetest woman Nancy and on a special diet has now lost 8 lbs! At 22 lbs he can now even run! Seeing the people and their love of animals, supporting worthwhile causes that benefit all of our local animal organizations this weekend has touched my heart. What do I believe, I do believe in my artistic statement "Inspiring the Joy of Creativity" in whatever I do I wish to inspire other people to create, to find joy in their personal creativity and in the creativity of those around them. Creativity is not just found in areas people associate with being creative like sewing, crafting or painting but it is found in how we daily create our lives. 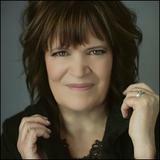 How we live crafting a way to a life that brings us joy, to what we do, to what we surround ourselves with, what we give and what we share. Creativity is a way of life and a gift inherent in all of us for we are meant to live inspired, to live creatively and to live with JOY! Be "Inspired with the JOY of Creativity!"